Geology Glacial meltwater or overflow channel. Record Name Black Beck. Relict woodland at the final stage of degradation. Record Description This record illustrates the final stage of degradation of woodland where Upland Oak-Birch woodland once present on the base poor soils derived from sandstone in the sheltered gill has disappeared except for a few very small fragments on cliffs and for occasional ancient hawthorns and rowans. 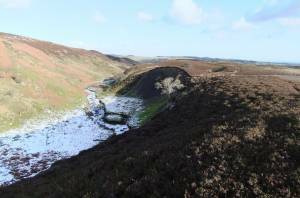 Regeneration is impossible here as elsewhere in the pennines with a healthy rabbit population and occasional hungry sheep. Common / Notable Species Rowan. Sallow. Image 1 Description Black Beck. 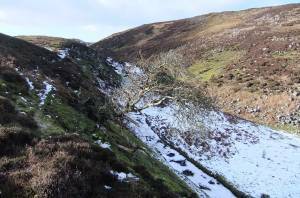 Glacial overflow channel with solitary fallen rowan. The last survivor. Image 2 Description Black Beck. 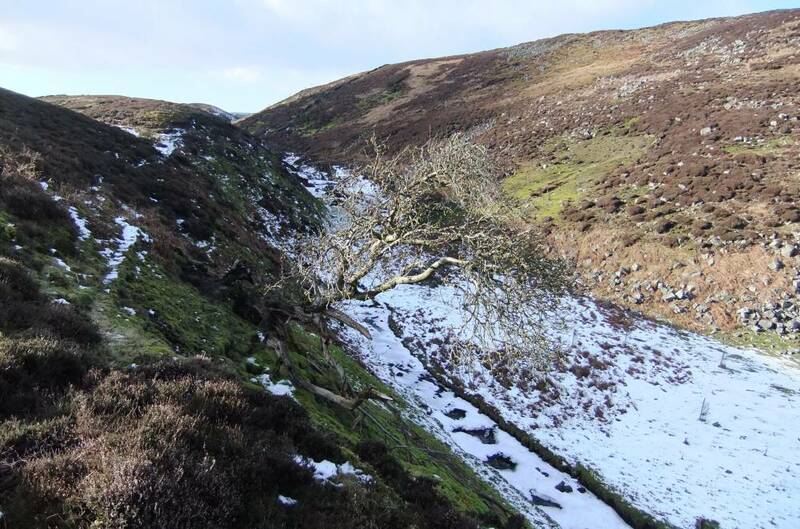 Glacial overflow channel with solitary fallen rowan. The last survivor.